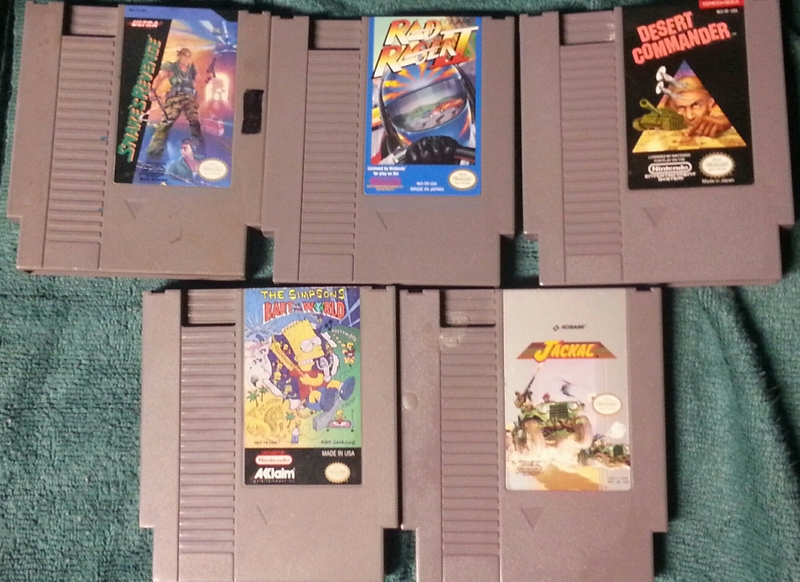 Minor flea market find for $2 each. Desert Commander is the only one of any personal consequence. The rest are doubles. Interestingly, Desert Commander is part of a travelling museum “Art of Video Games” showcase, included mostly for its unique genre choice on the hardware. Combination estate sale and thrift store find, around $55 for all. 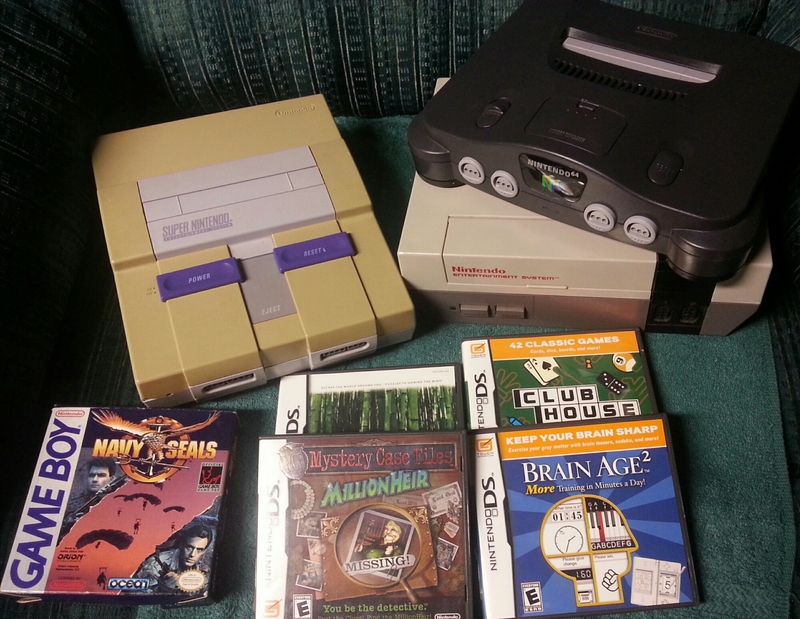 There was more, including strategy guides, magazines, and appreciate cables for the system’s which didn’t fit in the image. This was also the first time I’ve picked over the house of a hoarder. Those systems underwent about three hours of restoration to get them to that point. 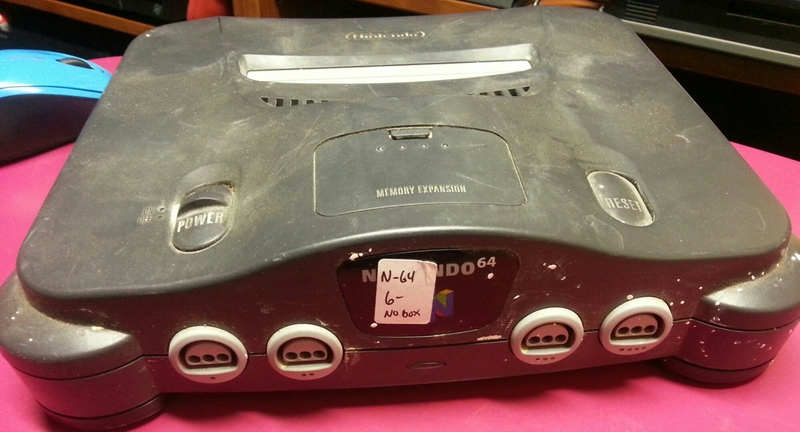 That was the N64 before. It wasn’t pretty. 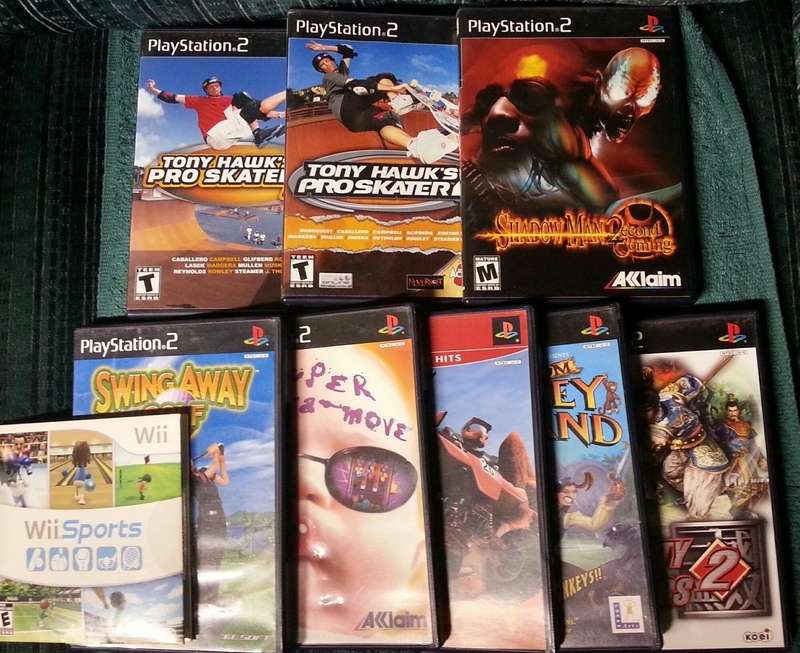 Small charity rummage sale find, $1 each and all complete. You would think Wii Sports would be like Mario/Duck Hunt – worthless. But, in resale, it will pay for the entirety of this lot and then some. Go figure.